Engineers have developed a concept plane which they believe, might be similar to passenger planes in 40 years time. However in the past futurologists have been wide of the mark, with predictions of jet packs, flying cars, and cities in the sky. 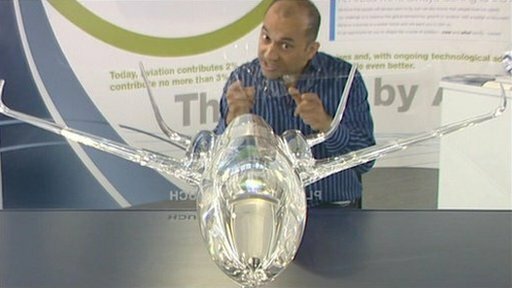 Rajan Datar investigates whether, in the year 2050, we are really likely to be flying in transparent aeroplanes powered by solar energy. Watch Fast Track on the BBC World News channel on Fridays at 2230 GMT, Saturdays at 1230 and 1830 GMT or Sundays at 0730 GMT.